Free Sampler Pack! 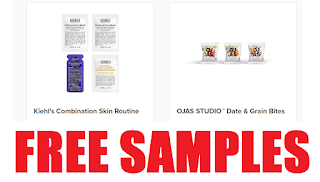 Free Kiehl's Skincare Samples, Modern Table Pasta, Ojas Date & Grain Bites and More - Select Accounts Only. Not everybody will have it in your accounts. Some people might have other things, others might not have anything at all. Just click below to see what you have. Good Luck!